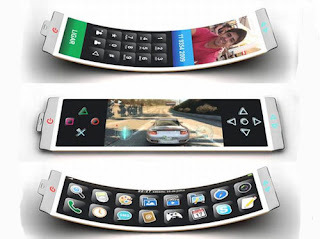 FLEXIBLE SMARTPHONES To be seen in 2013 ??? You almost skip a heartbeat when you drop your costly smartphone.. RIGHT?? And, after that spend another half of you wages repairing it up or buying a new one..
Ok, now here is some good news for all of us.. Now, this is what we call PURE TECHNOLOGY..
We have got news that FLEXIBLE PHONES Will be out by 2013. Now, that makes you say WOW, Right?? Bend your phone, Twist it, Shape it, Drop it, Even Step on it.. There will be no damage done to the phone. Yes, Researchers are working upon such gadgets, which are real thin, paper-like and bendable. We already have seen some glimpses of such technology at various gadget shows. But, now rumors claim that somewhere in 2013 we will see the launch of the first such device. Numerous companies are working hard on the technology to produce such devices. But, it seems the first device launched would be from Samsung. Samsung builds its smartphones with the so-called flexible OLED (Organic Light Emitting Diode) technology, and is confident that they will be "very popular among consumers worldwide". Other major companies such as LG, Sony and Nokia also seem to be working upon the technology. Let us see what happens. 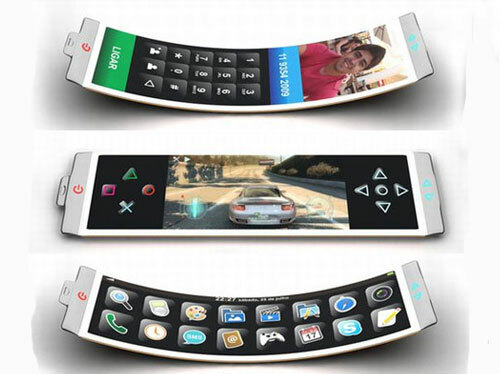 Keep reading for further updates..
0 Respones to "FLEXIBLE SMARTPHONES To be seen in 2013 ???"